*Spoilers for War of the Planet of the Apes follow! 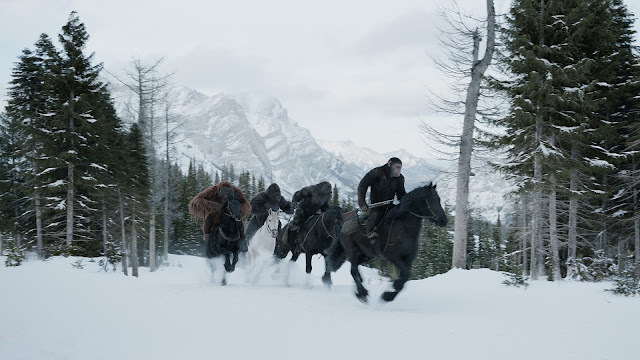 In War for the Planet of the Apes Matt Reeves brings this trilogy to an epic culmination that offers audiences a multifaceted film rarely seen in blockbuster film making fueled by the iconic performance of Andy Serkis as Caesar. Through emotionally filled facial expressions and resonating voice acting Serkis weaves the audience into his final journey as King of the Apes. The film's ability to tackle sensitive issues subtly, but powerfully once again allow this series to achieve quality that probably shouldn't be possible in a film revolving primarily around motion capture characters. As the success and budget of this film series has progressed it has always managed to sustain its intimacy. 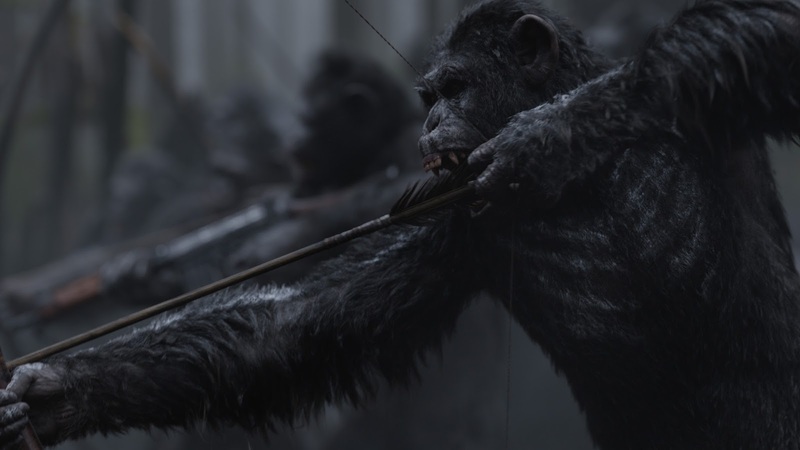 This film truly does feel like a grandiose War film, but at the same time is successfully anchored by it's personal revenge journey of the franchises core apes: Caesar, Maurice, and Rocket. From the outset this franchise has remained grounded emotionally by always truly being a story about fathers and sons, something this film does better than previous entries into the series. Reeves raises the stakes both personally and categorically by giving Caesar a human reflection of himself at his worst in Woody Harrelson's The Colonel.  Harrelson's scenery chewing religious crusade to purify this post-apocalyptic World offers audiences one of the most memorable protagonist and antagonist dichotomies since Heath Ledger's Joker and Christian Bale's Batman in The Dark Knight (2008). A dichotomy that is fully realized in the chilling exposition ridden meeting between Caesar and The Colonel at the midpoint of the film, resulting in one of the single greatest scenes of 2017. 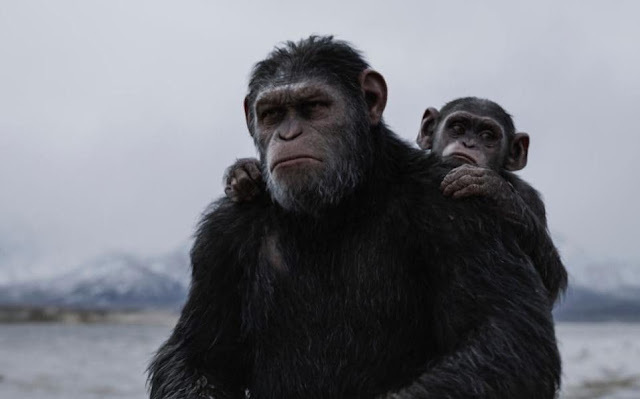 War for the Planet of the Apes has the unique ability to up the stakes while never losing sight of the franchise's core themes, in this case family and unity. The decisions made by Reeves both in the directing chair and in the writer's room provides both audiences and critics alike with substantive ramifications usually not associated with modern franchise entries or blockbuster filmmaking. These tough and far-reaching choices, combined with an Oscar worthy performance by Andy Serkis resulting in the greatest trilogy of modern cinema.